The image above is a detail from a photo by Ivan Castro. 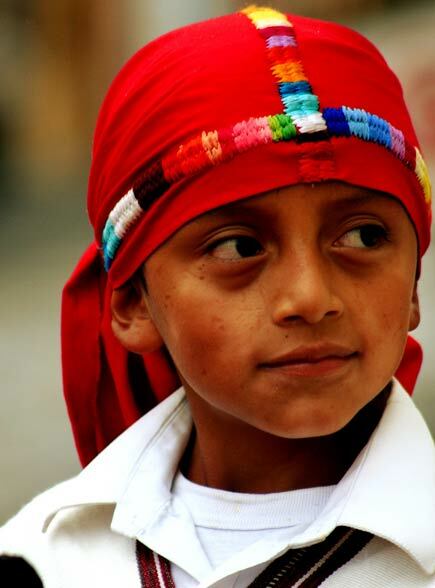 Mr. Castro’s Guatemala photo set on flickr offers an excellent selection of images. He is adept at subject, composition, tonal range, and color. This is a great introduction to beauty of Guatemala. Below are clickable thumbnails from his Antigua, Guatemala photoset (just one of those available), via the crossroads plugin. 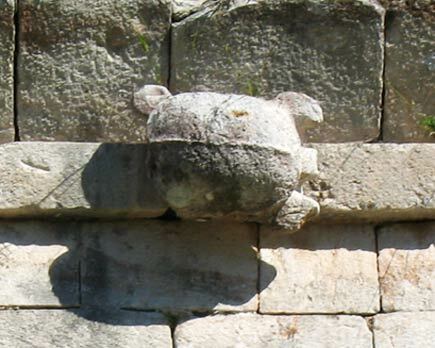 Like the parrot I discussed previously, this turtle is located at the Puuc Maya site of Uxmal in the Yucatan. It’s one of the many turtles decorating the building known, not surprisingly, as the House of the Turtles, which is located at the northeast corner of the enormous platform housing the large structure known as the Governor’s Palace. The turtles decorate the cornice at the top of the building at more or less regular intervals. The turtles are realistically rendered, though their shells are decorated with decortive reliefs. The function of the House of the Turtles is unclear, but it is clearly an integral structure in the Uxmal complex — its central doorways on the north and south are aligned with the archway and central doorway of the major building called the Nunnery. Although a rather small building (about 30 by 11 meters), the House of the Turtles is beautifully proportioned and has been hailed as a superb example of the Puuc style. For the Maya the turtle was associated with water and with the earth. Not only are turtles found in aquatic habitats but their shells seem to have been associated with thunder because of their use as components of musical instruments such as drums. An image in the Codex Borgia depicts a turtle playing a drum. The Atlaslike Maya deity (Pauahtun) who supported the world on his shoulders is sometimes depicted wearing a turtle shell on his head. Turtles shells are also associated with altars in some contexts, and the Maize God is sometimes shown emerging from a turtle shell. Some of this information is drawn from The Gods and Symbols of Ancient Mexico and the Maya by Mary Miller and Karl Taube (London: Thames and Hudson, 1993). In dictionary format, this is a useful resource on Maya and Mesoamerican symbology. Click image for larger view with a different crop.